With all the hubbub about the recently-passed health care reform (sic?) bill, we thought we would step back and take a look at this thing through the eyes of Professor Alfred E.Newman, he of irreverent MAD Magazine fame, who is apparently leading the "Don't Worry, Be Happy!' political party in the 21st century. Our retort is this: Is that 4% going to be too much when piled on top what will be by then well over 50% of our entire federal budget outlays in spending going to Medicare Parts A, B and D and Medicaid? People like Mr. Klein and Mr. Newman never seem to be concerned one whit about how we are going to pay for all of this stuff and ever balance the federal budget again in our lifetimes. What could possibly happen as a result of this bill? Nothing, other than millions of people will have access to health care coverage which is a good thing. We all want that; we just have differing views on how best to achieve that laudable goal, except many Americans want it done within some firm budgetary limits. Who knows? This thing might actually work out exactly like the geniuses who designed it say it will. There will be absolutely zero unintended and deleterious side effects, ever. President Obama and Speaker Pelosi 'promised' us that, didn't they? We have been running what has seemed like treacherous deficits and building up magnificent amounts of debt since 1970 (for the only extended period during peace conditions in American history except for the Great Depression) and nothing really and truly 'awful' has happened as a result. ‘So who should really care?’ say many from the Progressive Alfred E. Newman Party. Or we may not. What then? Many economists have estimated that future economic growth will drop by 1% per year when national debt exceeds 90% of GDP. Check out Japan for the past 20 years. Remember when everyone was worried Japan was going to take over the economic world and buy up all the US commercial real estate? Their debt-to-GDP ratio is now 192% and they have been in the La Brea tar pits of economic stagnation ever since 1989. Or it could be the sheer amount of interest payments that have to be made on the debt. That is taxpayer money that could stay in your pocket to invest; start a business; pay for an addition to your house but instead, is being sent overseas so they can decide what to do with your money instead of you. We are paying $250 billion per year in interest payments right now in cold hard cash to holders of US debt with about $50 billion of it going to the Chinese. Even under optimistic scenarios, that number will rise to close to $800 billion per year by the end of this decade when higher ‘more normal’ interest rates return AND the amount of our collective national debt is more like $20 trillion instead of $13 trillion today. And what happens when we find ourselves borrowing more money from the Chinese to pay for the interest payments we are now making to foreign creditors….like the Chinese? Talk about a dog chasing its tail…. All of this could happen….or it might not happen at all. We are of the mind that while anything is possible, why take unnecessary risks when you really don’t have to? We agree: Why take the chance that this enormous explosive debt could turn into an unmanageable firestorm and lower the future economic prospects of our children and grandchildren? How selfish of our generation is that? 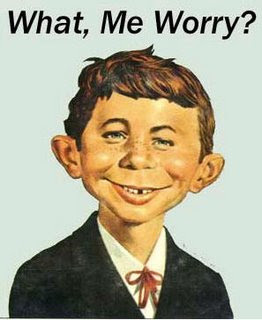 Maybe we should just join the Alfred E. Newman Party like so many of our friends on the ‘Don’t Worry; Be Happy!” side of life…..why not? They seem to be having a lot more fun spending all of our federal taxpayer money nowadays, don’t they? It will be the highlight of your day, to be honest about it. 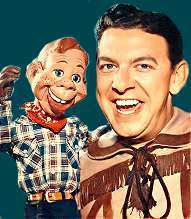 According to several experts in federal budget accounting, this Obama/Pelosi/Reid Health Care Reform (sic?) bill will NOT reduce budget deficits by itself going forward. Not by a long shot. Not in the next 10 years up to 2020 or the ensuing decade between 2020-2030. You are going to hear a lot of self-congratulations and harrumphing over the coming days trumpeting that ‘this health care bill will reduce our budget deficits by $138 billion in the next decade and over $1 trillion over the next decade.’ Huh? We are adding over 20 million people to the federal rolls for health care coverage and support and that added expense is going to reduce spending in a stupendous way over the next 20 years? It is a whole lotta lies. And who really can predict what will happen tomorrow, much less 20 years from now? Even in early 2008, no economist (except NYU’s “Doctor of Doom”, Noriel Roubini, that is) predicted this humongous financial meltdown we are now still in…so how can anyone be so sure about something happening in 2029? These claims of ‘savings’ or any deficit-reduction touted as a result solely of this health care reform package are not real or true. That is a very important distinction. Why? Because in their infinite wisdom, the Democrat writers of this bill knew they couldn’t make the numbers work on the health care side of things from the beginning. So they did what any clever budgeteer would do: they added a couple of other bills including reform of student loans and a long-term health care bill so that more tax revenues would be added up front and most of the spending would not occur until later down the 2-decade spending cycle. Long-term care spending, for example, might not kick in for 20 years in many cases, hopefully for most of us. Any significant ‘deficit-reduction’ in this comprehensive bill will come from the acceleration of tax hikes and front-loaded revenue from ancillary provisions dealing with long-term care and reforms in the student loan program. Think of 3 silos standing next to each other. The tax revenues from the other two silos are being used to help cover the shortages of the third one marked 'health care'. That is how this massive expansion of federal spending can be called a 'deficit-reduction' tool without everyone laughing out loud funny in their faces. Take a good long look at these two very good summaries of the health care cash flows from people who know for sure since they both used to head up CBO, the first from Donald Marron and the second from Douglas Holtz-Eakin. The CLASS Act, which is a new federal program to fund long-term care, will take in $70 billion more in premiums in the next decade than payments going out. A new tax on investment income will be credited to Medicare for the first time ever which violates the basic structure of payroll taxes paying to Medicare and which may be repealed for that very reason. This accounts for roughly $210 billion of new revenues over the next decade, including on the sale of your home and when you liquidate your IRA for retirement purposes down the road. The student loan programs program reforms account for $19 billion in so-called deficit-reduction over the next decade. Over $500 billion in proposed savings to Medicare THAT MAY NEVER MATERIALIZE! Remember one of the basic tenets we have been preaching all year: No Congress can tie the hands of any future Congress and tell them what to do or not do in terms of future legislation. It may be impossible to get the $264 billion in waste, fraud and abuse savings or the savings from gutting the Medicare Advantage program from a future Congress, especially if we can't get them from the current one! This is the definition of pure alchemy at its most absurd level…. ‘We are going to spend $1 trillion more in federal spending AND then save a trillion dollars of your tax money over the next 20 years!’ It was an argument made so many times it made our heads hurt. 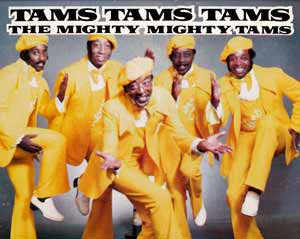 Turn up the volume and sing along once again with The Tams: "I've been hurt, hurt, hurt...like I have never been hurt before..."
Cause those words ring pretty true with this Obama health care reform (sic?) bill. Why Are The Democrats Trying to Make Kamikaze Pilots Look Sane By Comparison? Because they know that when they pass this health care reform (sic?) bill into law, it will never be repealed. Let’s think about this for a moment. Why are the Democrat leaders in Congress, Speaker Nancy Pelosi and Senate Majority Leader Harry Reid and President Obama so willing to force 50 or so of their House colleagues to fly their campaigns into enemy ships just like the kamikaze pilots of World War II and vote for this bill in the face of a growing, angry majority of the American public in their districts who are strongly against it? These Progressive Democrat leaders know, with ‘ontological certitude’ as John McLaughlin used to say, that once a bill is passed into law, the chances of it ever being completely repealed are nil. We brought to your attention perhaps the only federal program to be removed from federal control during the Reagan/Bush 41/Clinton and Bush 43 era, the Federal Helium Reserve, which was privatized in 1996…after ‘only’ 71 years in existence and long after dirigibles were used for warfare purposes as they were in World War I. But here is the main problem as we see it: Once the Democrats pass this bill, there is no chance that any, part or all of this health care reform bill can be repealed or changed once it is passed, for the next 3 years at least. Here is the Progressive Democrats' real trump card: President Barack Obama will still have the veto pen in his hands until January, 2013 at minimum. He can, and will, veto every attempt to change this health care bill with a flourish once it is signed into law for the next 3 full years, even if Republicans or Tea Partiers win tons of congressional seats this fall. That is close to 1000 more days for those of you keeping score at home. The GOP now has 41 Senators and 176 House Members. That is 10 short of a majority in the Senate and 42 short of a majority in the House. “We can do it this year in this political environment!” say some stalwart Republicans. Yeah, maybe, that is great….but guess what? For the next 2 years after this year’s November election, 2011-2012, even if the GOP has a majority in both the House and the Senate, President Obama can shoot down every single attempt at repeal or reform of this health care bill with his veto pen. Every single one of them. Why? Because in order to override his expected veto each time, the GOP would need 67 GOP Senators and 290 House Members in Congress. The GOP ain’t going to get to those numbers this year or any year, ladies and gentlemen. At best, the GOP can get to solid majorities in both Houses like they did from 1995-2007. They have never had supermajorities the size to regularly override any President in the White House in modern times. Never. The dream of the ‘Progressive Democrats’, as they all seem to be calling themselves now as opposed to just plain ‘liberals’, is to have universal coverage for every American no matter what the cost. And their belief is that once this bill becomes 'law', they can then explain it to the American people and "then they will like it!" And they are willing to pull every trick out of Felix the Cat's big bag of tricks to get it passed into law...like the also aptly-named 'Slaughter Rule' and budget reconciliation. Here is what is guaranteed the minute this bill is signed into law: your taxes will go up for the next 5 years. To the tune of $207 billion, to be exact. These will all come in various assorted forms and flavors but the bottom line is that most of the taxes in this health care bill are ‘front-loaded’ and due to come out of your pockets or the pockets of your employers right away. By contrast, spending on any expansion of health care coverage will not take place really until the fifth year, 2014. Or two whole years after the next presidential election when we get to decide whether President Barack Obama deserves another four years or not as our nation's Chief Executive. So get your umbrellas out for the next town meeting with your favorite congressman who voted for this bill the first or second time around. At least the kamikaze pilots of World War II didn't have to face such ire and the wrath of angry voters after their mission. What Do We Really Want the Federal Government to ‘DO’ Anyways? That is a very, very good question and one we have not had a solid national debate on in many decades. So let’s play a little game since everyone likes to do interactive video games and such. Go to the CBO website right now and open up this link in an adjacent window. It is one of the better ways to present 'real budget truths' to come out of government in many years. Take a look at the chart and see where the expected federal budget deficit baseline goes. ('Baselines' are projections based on current law that is now in place, and does not include the trillions of dollars that will be associated with the health care bill since that bill has not been passed into law…yet.) The budget deficit is expected to go ‘down’ to ‘only’ $500 billion or so for the next decade, assuming we get out of this nasty recession anytime soon like in the next couple of years. But let’s say you really don’t like the two wars begun under President Bush and you want to reduce the number of troops in Afghanistan to ‘only’ 30,000 troops by 2013. (down from 120,000 today) You can click on the blue X and another line will form to show you just how much those savings will reduce the budget deficits going forward. Not much, but some…the deficits will ‘only’ average $400 billion or so for the rest of the decade. Every little bit helps....and nowadays in federal budget circles, $100 billion is 'a little bit', sad to say. How about if we allow every non-military, non-entitlement discretionary program (like education, environmental control, cancer research and transportation…all the things that people say they like in the abstract) to grow at the expected rate of inflation for the next decade and not be ‘frozen’ at FY 2010 levels as indicated by President Obama in his SOTU speech? That drives the deficit up dramatically, to an average of ‘only’ $800 billion or so per year and increasing in velocity. How many ways can we emphatically say: “not good” ? How about if we don't allow all of the Bush tax cuts to completely expire (purple X) and go back up to the rates they were in 2000 before he took office (during the so-called ‘glory days’ under the Clinton Administration and the GOP Congress)? Mind you, this means all the ‘terrible tax cuts’ like in marginal income tax rates, corporate income tax rates, estate or ‘death’ taxes, capital gains taxes and so on and so forth. This would constitute, in practical effect, possibly the greatest increase in tax revenues in the history of all known upright humanoid history going back at least as far as the Roman Empire. The deficit ‘explodes’ to an average of close to $1 trillion PER YEAR for the next decade! The current Obama budget projections assume that most of the Bush tax cuts, including the annual indexation of the dreaded AMT (alternative minimum tax) won't be allowed to expire but rather will be EXTENDED for the entire decade. Not one of the very vociferous opponents of the Bush tax cuts have indicated any stomach to oppose the repeal of these ‘terrible’ tax cuts. Not one. The takeaway point for everyone is that we have not even come close to seeing any proposals from either side for what will take us back to balance or even close to it in the next decade. The next decade, 2021-2030 will be even worse by a factor of 2 at least. Unless we slam on the brakes of federal spending right now and try to prevent it from being like one of those terrible Toyota incidents, that is. People who support President Obama and the Democrats should demand they raise the taxes necessary to pay for all this government spending. They want more government: they should propose ways to pay for it. People who support Republicans or the Tea Party should demand they reduce spending dramatically if they really want smaller government with more limited reach into our daily lives and checkbooks and banking accounts. If they won't do even those basic things as political figures, why do we vote them into office anyways? To mystify and amaze us on a daily basis like a ventriloquist who never really 'says' what he believes in his heart? Raise taxes or cut spending...but no more debt! "Debt is for political cowards! "...always remember that like "'Remember the Maine! ", "Remember the Alamo!" or 'Remember Pearl Harbor!" 1) They would vote 'No!' to any changes to the expiration of every single one of the Bush tax cuts due to expire between the end of this year, December 31, 2010 and 2020. Every one of the Democrat elected leaders who have been squealing and pointing their fingers at the ‘dastardly’ Bush tax cuts of 2001 and 2003 should stand firm in their belief that 'the Bush tax cuts were terrible for the country' and allow them all to expire. No vote to grandfather, transition or waiver any repeal of any of these tax cuts which will happen automatically at the end of this year and successively for smaller provisions throughout the decade. 2) None of the Democrats will support or propose any adjustment to the AMT (alternative minimum tax) income thresholds and will instead just let ‘bracket-creep’ or inflation slowly seep into the lower higher-income and then the middle-class income taxpayers’ pockets to extricate more money from them on an annual basis without them ‘really feeling too much pain’. Now that is one way to blow a hole in this enormous debt buildup, isn't it? If Democrats were really honest about their desire to expand government to provide all of these great services for your fellow Americans, they would allow the AMT to surreptitiously ensnare more and more unsuspecting taxpayers each year and not vote to extend the dastardly tax cuts that President Bush and the GOP Congress passed. They would have already introduced Congressman Paul Ryan's 'Roadmap for the Future' Budget for a vote in committee and on the floor of the House. They would also introduce all of the spending options from various sources they could introduce as a package or by line-item from the CBO and The Committee for the Fiscal Future of the US. There are over $3 trillion in scored proposals we have mentioned previously that can be passed tomorrow to bring our spending more in line with revenues. But the GOP has failed to do either yet...for some reason. Maybe they are not really serious about reducing these deficits and national debt either...just like the Democrats? Nah, it just makes your brain reel if it had to believe that both major political parties in the United States of America could be so nonchalant about the threats of exploding deficits and compounding interest on the national debt now at $14 trillion and heading higher daily. Watch them both very carefully on each of these fronts. If you see either side take either respective action, you will know for a fact that they are actually taking this explosive debt seriously and taking action to prevent it from growing even worse. 1) Tort reform and malpractice insurance reform will knock the pillars of spiraling cost out of health care inflation and flatten the costs of Medicare and Medicaid which are the two programs that are killing us fiscally. 2) Raise the retirement age in both Social Security and Medicare in successive staged increments to 70, with the only exceptions being severe medical or physical handicaps attested by licensed physicians and psychiatrist. 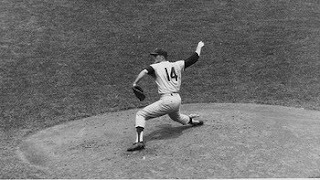 3) Eliminate the anti-trust exemptions for the health insurance industry (and for Major League Baseball while we are at it…why those two industries are the only two legal exceptions from monopolistic regulations is beyond us anyway) and let the free market work to push prices down across-the-board. We really want our elected leaders in Congress to 'do the right thing' and reduce spending first to balance the budgets. Maybe if each party would be honest with the American people and put forth proposals like we suggest above, we might have a chance to have a full-blown national debate this year on how to best achieve those goals. But not if they run and hide and don't spell out the tough options we have before us. All of the 'easy' decisions have been made..and look at where that has gotten us as a nation. Rudolph Penner, formerly director of the Congressional Budget Office, recently put out a report aptly named 'Choosing the Nation's Fiscal Future' sponsored by the Committee on the Fiscal Future of the United States. Derek Thompson of the Atlantic has a nice lead-in to the report with the great alluring title "How to Control Debt Without Touching Taxes" so if all you can do right now is read his brief article, do just that. It might make you feel a little bit better about the future of this country for today at least....it can be done, as long as we, the living, breathing adult Americans of this nation, decide it is the right thing to do and put pressure on our elected officials to pass these much-needed reforms and new responsible fiscal policies. The full report is 338 pages of clear explanations of how to at least get our fiscal house in order to keep public debt to GDP ratio to 60% by 2020 which is at least a manageable level by most economic experts nowadays. We don't suggest you read it all tonight but we do suggest you read it all at some point in time (it is free if you read it on-line) and send around to all of your concerned friends, neighbors and countrymen as soon as you can. In it, you will see what it takes to get our fiscal house back in line all with federal budget cuts, 'federal liposuction', if you will, and no tax hikes...unless you consider capping 'Cadillac' health insurance plans at some standard level of benefits a 'tax hike'. You are paying for the difference nowadays anyway so if you don't mind subsidizing the status quo so groups like the labor unions can enjoy health benefits roughly triple or quadruple those in the standard BCBS plans you might be in, come up with some other massive change that will make up the difference. And, if you are so inclined, you can see what it would take if we keep federal spending at the same high level of spending relative to GDP that we have currently in place....and then have to pay for it through higher taxes on ourselves, not pass it along to our children to bear on their young shoulders all by themselves. Our thought is that if something is good enough to pass for the whole country, then everyone should pay for it some way or another. Continuous perpetuation of the urban and rural 'myth' that 'all we have to do is pass higher taxes on people making over $250,000 per year and we'll be ok' has done irreparable harm to the people of this country who have been convinced that there is a free lunch out there waiting to be delivered to their tables by the same rich people. It ain't gonna happen and there are not enough rich people to shake down to balance our budgets anyway....they'll all go to Switzerland before the IRS can shake them down to take all of their wealth. So the next time someone like Chris Matthews on MSNBC's 'Hardball' challenges you and says: "Well, then, Mr. or Mrs. Smarty-Pants, since you know everything about everything, what would you cut in spending to balance the budget? ", you can whip out this 338-page report and start reading every single proposal out to him on national television. 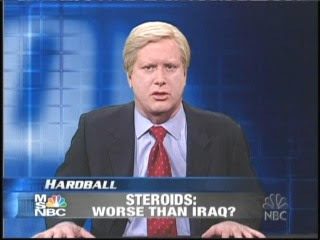 Or at least the meager number of folks who actually still watch the chattering head shows on MSNBC, that is.